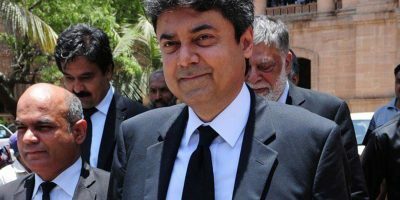 LAHORE, APR 15 (DNA) – A Joint Investigation Team (JIT) was formed to probe into the firing incidents at Supreme Court judge Justice Ejazul Ahsan’s residence in Lahore on Sunday. The team will be headed by Additional IG Rai Tahir and comprises of DIG Investigation Sultan Chaudhry and representatives of the Military Intelligence (MI), Inter-Services Intelligence (IS) and Intelligence Bureau (IB). A representative of Punjab Forensic Lab will also be part of the team. According to police, a case has been lodged over the firing incident in the Model Town police station. 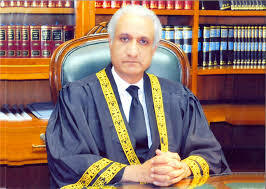 Earlier, in an audacious attack, shots were fired at Pakistan Supreme Court judge Justice Ejazul Ahsan’s house in Lahore on Saturday night and again Sunday morning. Justice Ejazul Ahsan was part of the five-member bench that disqualified former Pakistan Prime Minister Nawaz Sharif after he was found guilty of laundering money post the Panama Papers leak.